Product managers on the path to product mastery are uniquely equipped to transform the organization for three reasons: systems, culture, and relationship. System: Product managers are system thinkers who have a more holistic view of the organization than other roles ever obtain. Culture: They have a strong sense of the culture of the organization, understanding the expected norms and routines. Relationship: From their cross-functional work, they have gained relationships over time that span the organization, which enable them to navigate politics and wield influence. 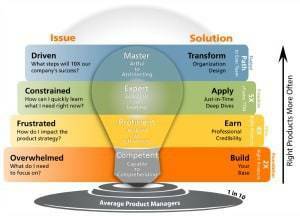 Your experience creating products that create value for customers and your organization is the experience needed for transforming an organization. ​Dr. 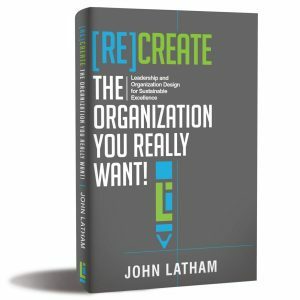 John Latham is the author of the book, [Re]Create the Organization You Really Want! Creating a more desirable workplace. The book presents the 14 components for building better organizations. We call this the Leadership and Design Blueprint. The online course goes far beyond the book by enabling you to apply the 14 components to your organization, or an organization you wish to create for success from the start. 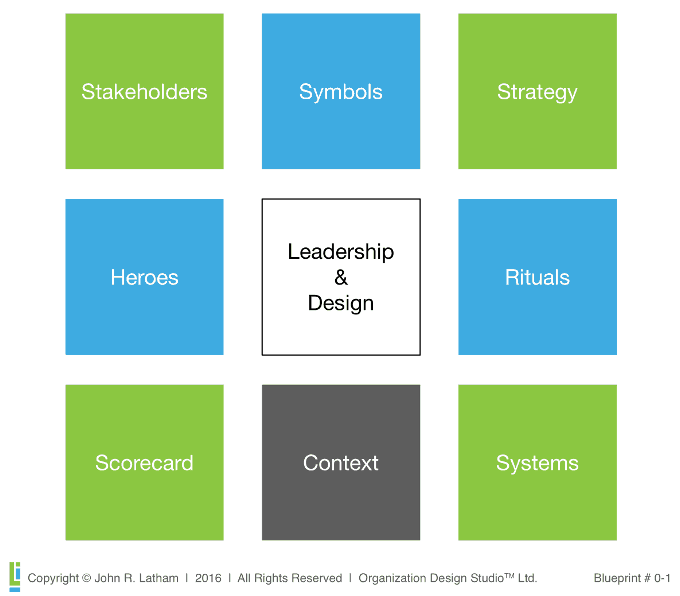 You build a better organization by applying the 14 components of the Leadership and Design Blueprint. We teach you how in an online experience that is self-paced and packed with practical tools and techniques to help you transform your organization. There's just one catch. The course is not ready yet. We are working on a beta test and once the group has completed it, we'll open it for others. In the mean time, we have something very valuable for you! The online course will teach you many tools that are used in transforming an organization. One of these is Empathy Maps. You likely have used empathy maps before, but this free resource will take them to a new level, making them more effective than ever before. 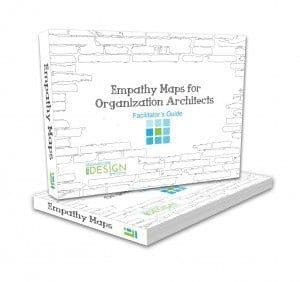 Empathy Maps help you to gain a deep understanding of customers and other stakeholders. 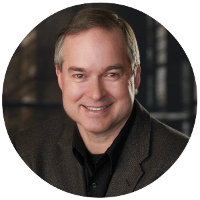 This brief guide by Dr. John Latham will have you conducting Empathy Map sessions in minutes and more effectively than ever before. Also, once you get the guide, we'll notify you when the course is open.